Microsoft is giving its Office 365 and Office.com apps a substantial design overhaul with an updated Ribbon, new icons, new search experience and more. The changes, which started rolling out earlier today, are exclusive to Office.com and Office 365 for now, although, they are expected to hit the desktop version(s) of the software in the months to come. One of the most visible and striking changes is a new and updated version of the ribbon that the company says was designed to help users focus on their work and collaborate naturally with others. The updated look is cleaner, and comes with a more simplified view that incorporates only the most-used options, hiding away the less popular ones. Thankfully, though, people who prefer to dedicate more screen space to the commands will still be able to expand the ribbon to the classic three-line view, says the company. Microsoft has completely redesigned the icons within its Office suit so that they scale perfectly on screens of any size and resolution. The new designs and colors are meant to give the apps a modern look, and make the software more inclusive and accessible to users. 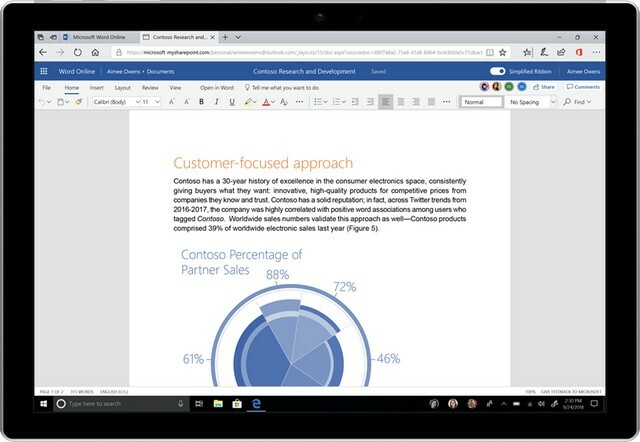 The new colors and icons will first appear in the web version of Word for Office.com before being rolled out for the Windows version of Excel and PowerPoint for select Insiders. 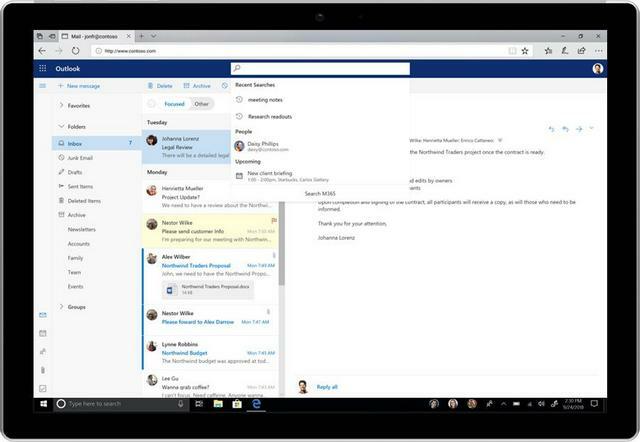 The update will roll out to Outlook for Windows next month, and in August they will begin rolling out to Outlook for Mac. Going forward, search will become a more important element of the user experience, says Microsoft. According to the company, the search functionality will provide access to commands, content and people going forward. In fact, a new feature called ‘zero query search’ will bring up AI-powered recommendations and the Microsoft Graph when the cursor is placed in the search box. The new experience is already rolling out to general users in Office.com, SharePoint Online, and the Outlook mobile app, while Outlook users will get it in August. The company says that further changes will be rolled out to Office in the coming days, and user-feedback will be taken into account to update some of the design elements that are being introduced.